The wind in your hair, the warm sun on your skin, and a gentle spray on your face. 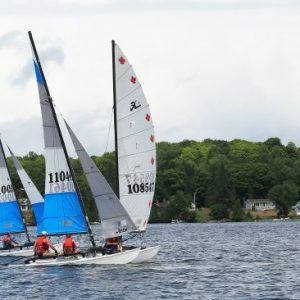 Sailing – what a great way to feel connected to the lake. 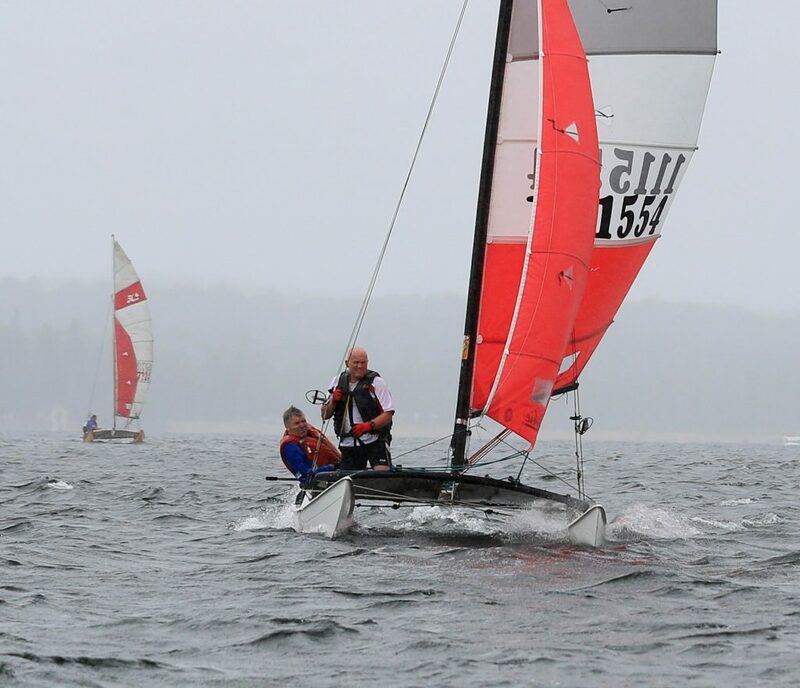 Add others who also enjoy sailing, and you have the Chandos Lake Sailing Club! 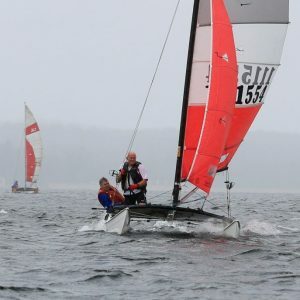 We’d like to meet you – everyone is welcome, even if you haven’t sailed before or don’t have a boat. 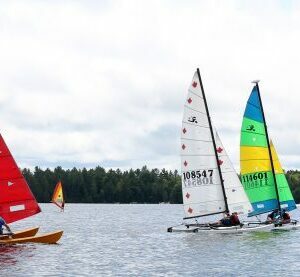 Participants: Sailors of all ages, ability and experience are invited to participate in five informal races per summer in three classes (Catamaran, Sloop and Sailboard). There is no commitment – you can come out for just one race if you’d like. Following each race there’s a social to present awards, share tips, strategy & stories over refreshments. There is no charge for attending the races; however, we do request contributions to cover our costs for awards, equipment and socials. Family and friends are welcome to attend socials at $15 for the season, or $5 per social. 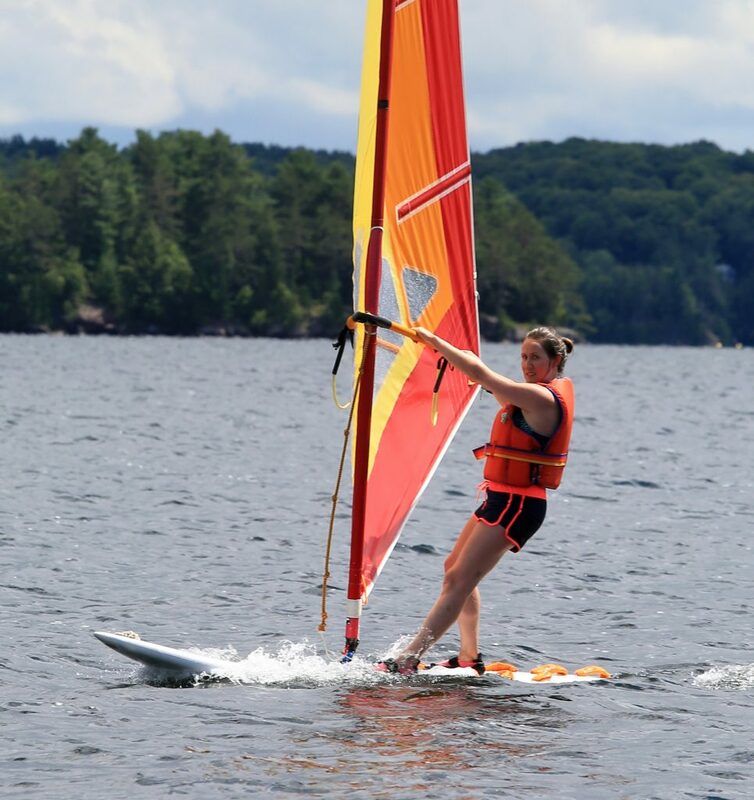 Windsurfers are welcome to compete in the regular season sailing races. 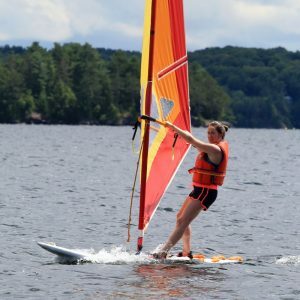 And the 4th annual Chandos Lake Windsurfing Race will be held on Sun. Aug. 4 at 1:30 pm, followed by a social at the Walkovich cottage, 250 Maple Lane.